Japan’s Sekiguchi and Technicolour Animations Productions have named a swathe of agents for the TAP and TF1 co-produced series, having signed a roster of new licensing and promotional partnerships in Europe. Several top tier regional licensing agents have been appointed for the new animated series based on the Monchhichi brand. The new agents include Alicom for the Nordic region, Ypsilion Licensing in Spain and Monco Creation Limited in CHina, who join Maurizio Distefano Advisors in Italy, Plus License in Russia, both of whom were recently appointed. In France, TF1 Licenses has signed several new licensing partners that include Buffalo Grill, the casual dining chain who will launch a month-long Monchhichi promotion, Ravensburger who will create a range of games and puzzles and MLP who has been appointed for a children’s apparel line. 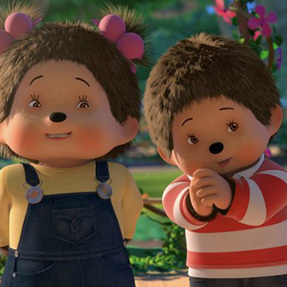 PGS Entertainment, the exclusive distributor for Monchhichi outside of France has signed new deals for Monchhichi with Canal Panda in Spain, Frisbee in Italy, Karusel in Russia and Spacetoon in the Middle East, who will commence broadcast in autumn this year and early 2019. All the while, Silverlit, the global master toy partner for the new series will be rolling out toys including figurines, play-sets and a car in time for the holidays across EMEA in Italy, Spain, Portugal, Finland, Norway and Russia. The new toy line had its world debut in France, Benelux and Switzerland in Spring 2018, alongside a range of products from French publishing partners Les Livres du Dragon d’Or and PKJ. “In addition to the iconic doll, Sekiguchi is very happy to be able to bring a new and large range of products to fans through our partners to serve a new generation who will be able to enjoy Monchhichi as much as their parents did in the 80s,” said Christophe Millet, EMEA sales and marketing manager, Sekiguchi. The CGI series Monchhichi is based on the plush line that first debuted in 1974 from Japan’s Sekiguchi. Over 100 million dolls plus accessories have been sold in over 40 countries to date.